Pulling the future firmly forward. The challenge of an enormously diverse building stock is keeping building compliance up to scratch and managing student communities on a variety of sites, especially given the projected growth for schools across Sydney. We take a fresh and rigorous approach to the specific needs of learning environments for our ultimate client, the school student. With the community’s rightful demand for diverse and inclusive schools, compliance upgrades for disability and cognitive access for teaching and bathroom facilities has been a key part of our education contributions over the past few years. 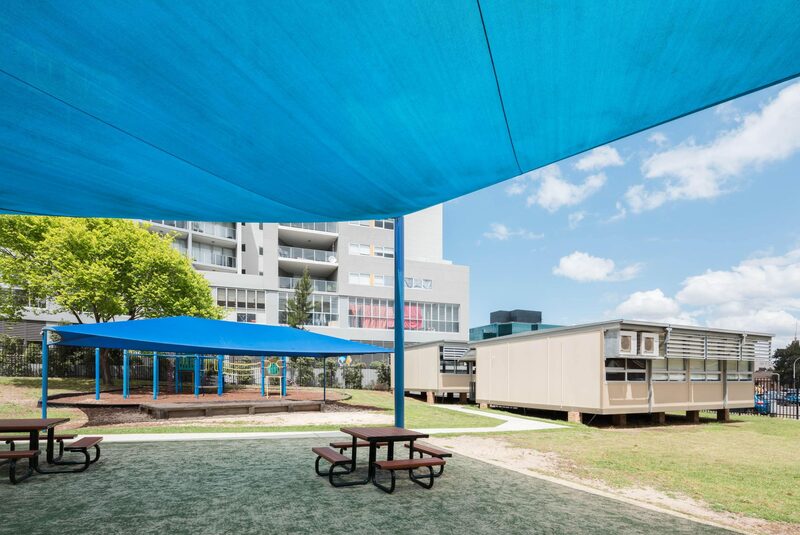 Alongside these compliance upgrades, we have also been a core part of temporary classroom accommodation planning in support of school campus redevelopment works across Western Sydney. These masterplanning projects include complex heritage and site condition overlays, leveraging our extensive residential project experiences.